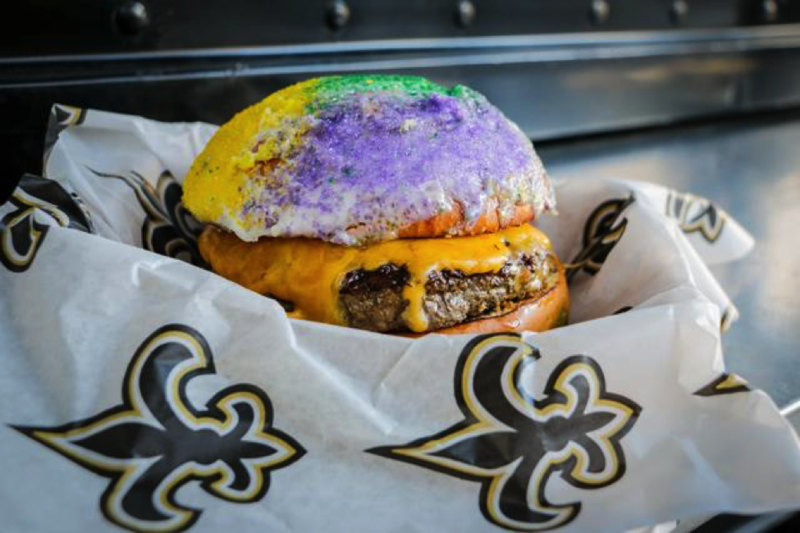 Any time there’s a food truck – whether it’s at a food truck lot, a street corner or a party, it’s bound to get people excited, because food trucks provide people the opportunity to enjoy delicious food made fresh all the while taking in a unique, one-of-a-kind experience. We teamed up with the folks over at Expedia.com and found ten trucks that you should have on your “must visit” list. 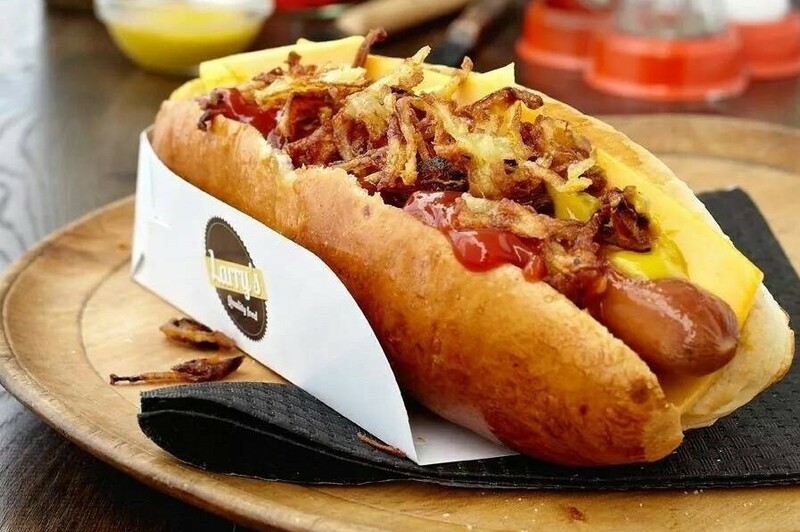 Whether you’re traveling the country or already based in these cities or trying to determine what food truck you want to check out, think about taking things up a notch with these trucks. They are certainly ones that will get people talking! 1. 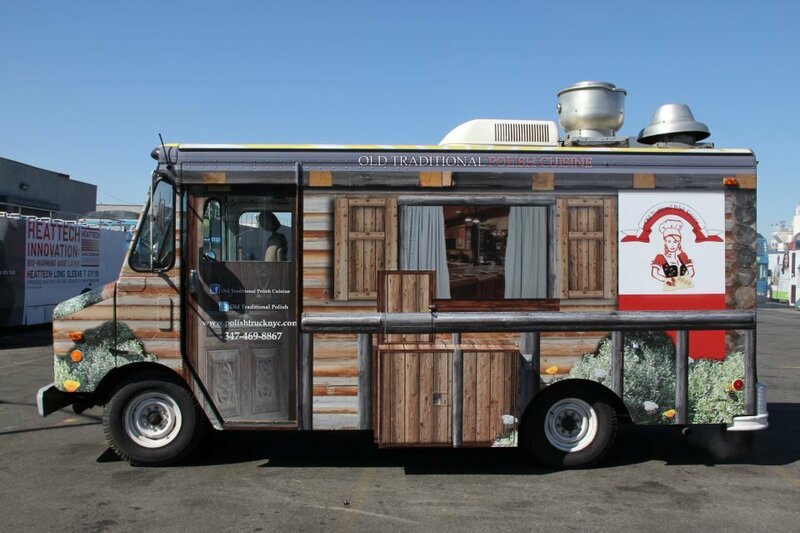 Old Traditional Polish Cuisine, New York: Designed to look like a little cabin the woods, the Old Traditional Polish Cuisine truck in New York City always has people’s heads turning. The food, like perfectly grilled kielbasa and stuffed to the brim pierogies, is what will leave attendees feeling nostalgic about the Polish grandma they never had. 2. 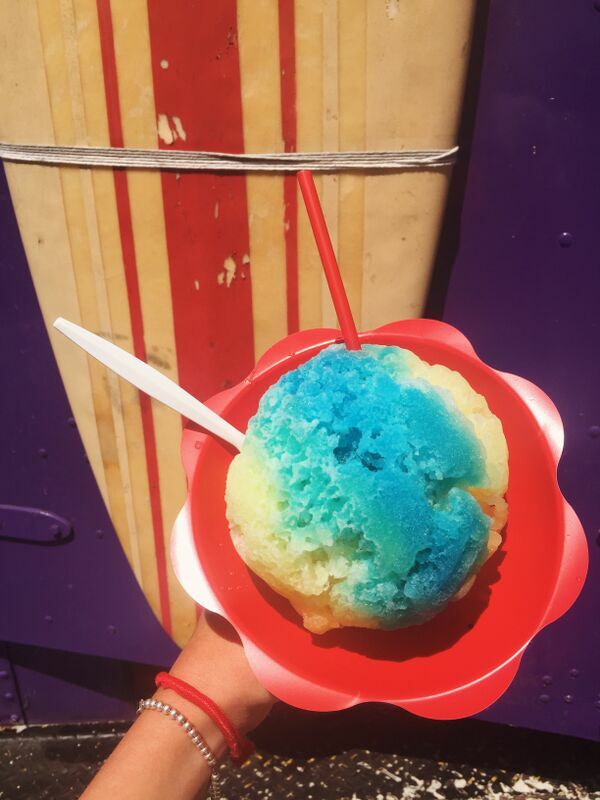 A Rockin Ice, Los Angeles: Colorful Hawaiian shaved ice, frozen lemonade slushies, AND tasty handmade ice cream cookie sandwiches? True, true, and true! These sweet treats sound like the perfect (and coolest) way to make your trip one to remember. Using only the highest quality ingredients and prepared made-to-order, A Rockin Ice in Los Angeles is exactly the kind of truck that gets people excited. With the option to have a specialty bar menu that puts a shot on top of your shaved ice, A Rockin Ice has us looking for reasons to come back for seconds (and thirds). 3. 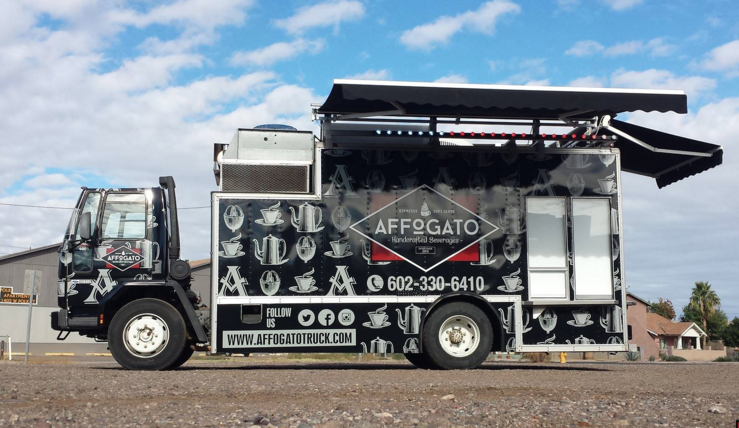 Affogato Truck, Phoenix: If you want to ensure that your event is the best and the biggest (literally), look no further than the Affogato Truck in Phoenix, Arizona. 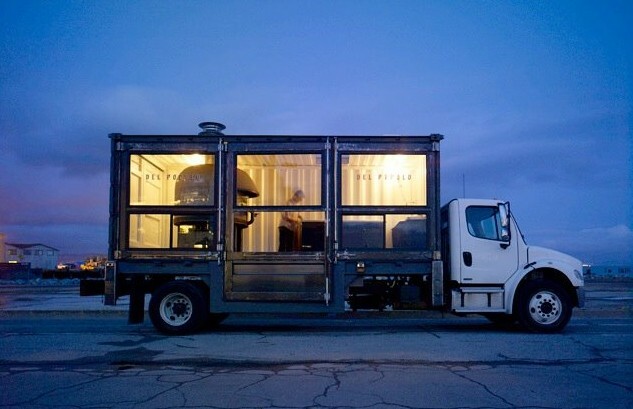 Weighing in at over 25,000 pounds and 25 feet long, this truck which offers espresso and soft serve options, is the largest on the West Coast. If the sheer size of this truck isn’t enough to impress you, then the creamy soft serve combined with a fresh brewed shot of rich espresso is sure to do the trick. 4. Jogasaki Sushi Burrito, Los Angeles: What happens when the two best foods on earth – sushi and burritos – are combined to form one incredible dish? 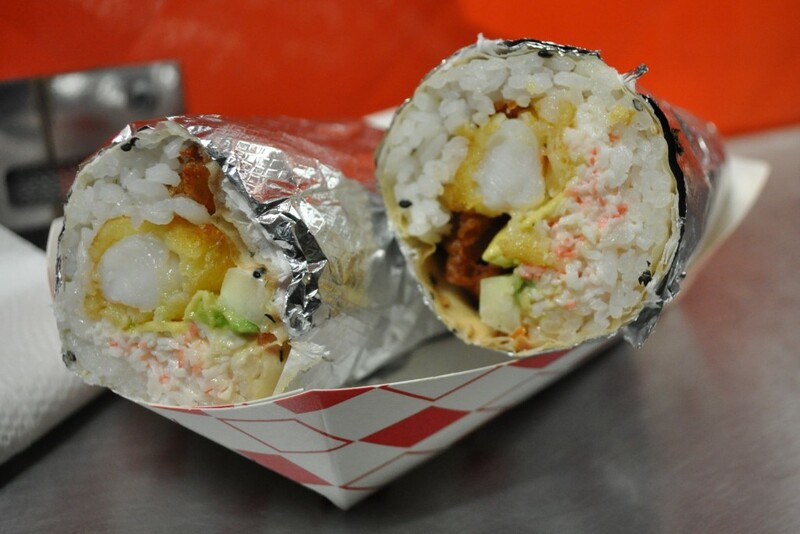 Jogasaki Sushi Burrito truck in Los Angeles has the answer. 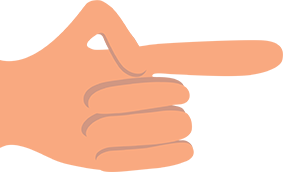 With combinations like spicy tuna, shrimp tempura, avocado, and even lobster wrapped up in either a tortilla or soy paper, Jogasaki’s is sure to be a huge hit among sushi-loving visitors. 5. Crepe A Diem, Nashville: With a fun and colorful Parisian wrap and clever name, Crepe A Diem has a lot of good things going for it. Their dessert crepes, like the lemon and sugar or Nutella and banana, make for either a deliciously sweet after-dinner treat, or an actually meal itself. 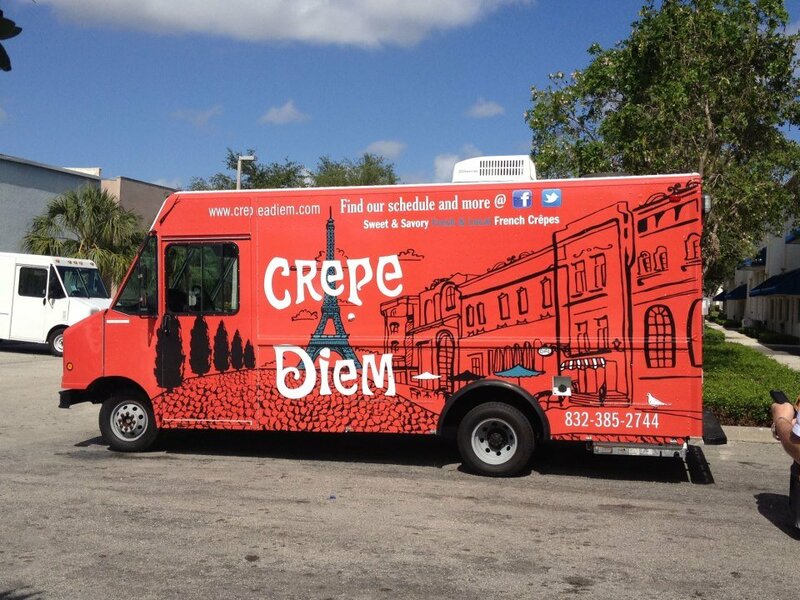 Using local seasonal ingredients, Crepe A Diem will have people feeling as if they’ve spent the night in Paris. 6. 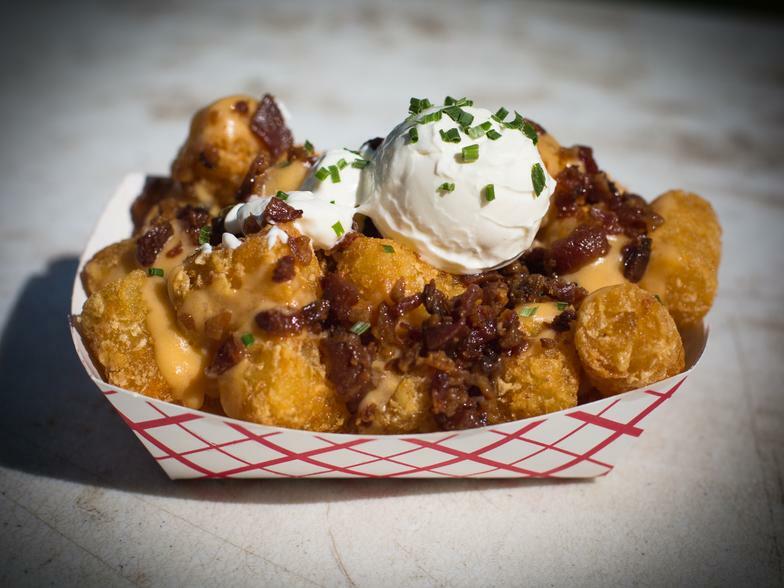 Tot Boss, Minneapolis: Give your guests something to “tot” about and try the Tot Boss truck in Minneapolis, which specializes in crazy potato concoctions that involve lots of cheese and lots of bacon. Dishes like tater tot nachos, chili tots, and a tater tot version of the Canadian favorite poutine are all equally tasty, which is probably why Tot Boss won Best of Minnesota in 2015. How could you NOT fall in love with loaded tots packed with sour cream, cheese, and bacon? 7. Arepa Zone, Washington DC: Forgo the usual pizza and grilled cheese for some mouthwatering Venezuelan cuisine that was voted one of DC’s best food trucks. Arepa Zone makes South American griddle corn cakes that are stuffed with tasty meats, cheeses, and veggies, served up with a side of coleslaw and an amazing creamy green sauce. 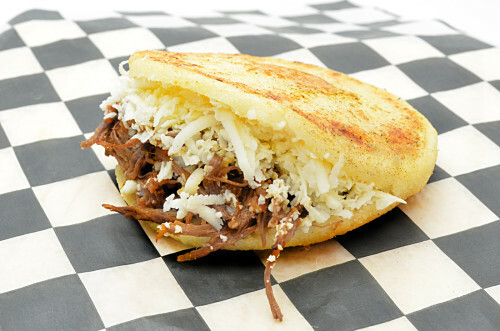 Because most people may be unaware of what an arepa is and just how delicious they can be, trying out this truck will spark interest and satisfy appetites. 8. 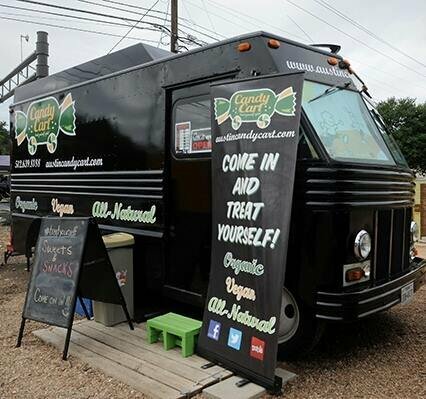 Candy Cart, Austin: The Candy Cart is a mobile sweet treat store on wheels offering a unique twist of vegan, organic and all natural candy products. When this truck pulls up, foodies are able to walk inside where gummies, chocolate, and lollipops line the walls. Fun and healthier than the traditional dessert truck, the Candy Cart is a hit for all ages. 9. 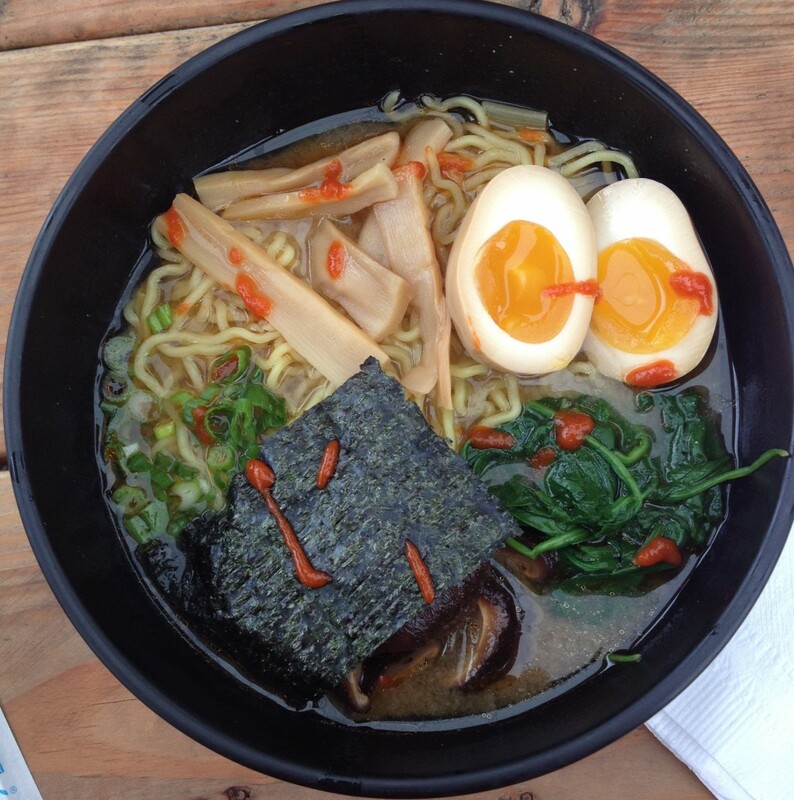 Hapa PDX, Portland: There’s no better way to make your event stand out than booking a ramen truck, specifically one as tasty as Hapa PDX in Portland, Oregon. Try the Shaka Bowl, a delectable shoyu style broth that’s filled with a slice of pork belly, an egg, green onions, and cold rinsed ramen noodles perfect for dipping. Vegetarians can delight in the Veggie Curry Rice Bowl that offers Shiitake mushrooms, spinach, and brown rice mixed with yummy bamboo shoots and curry. Foodies will absolutely love this yummy Japanese soup that is sure to leave them with a new favorite food. 10. 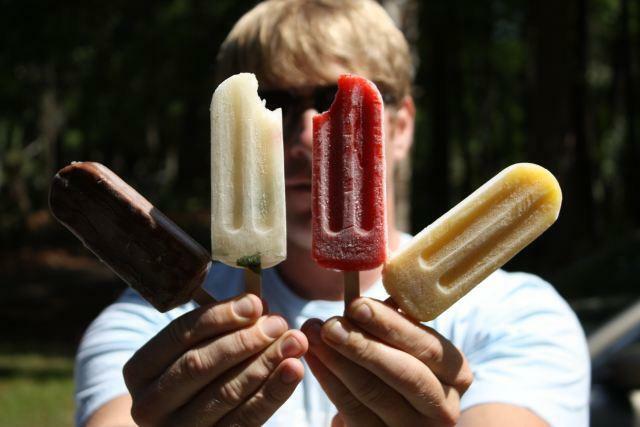 King of Pops, Atlanta: Rainbow umbrellas, chalkboard menus, and refreshing homemade popsicles with flavors like grapefruit mint and raspberry lime are the reasons why the King of Pops truck provides a food truck experience that is uniquely fun. Not to be limited to solely fruit pops, King of Pops also offers creamy banana puddin’ pops and decadent chocolate sea salt popsicles that will leave anyone with a sweet tooth wondering why they hadn’t tried checked out this truck before.